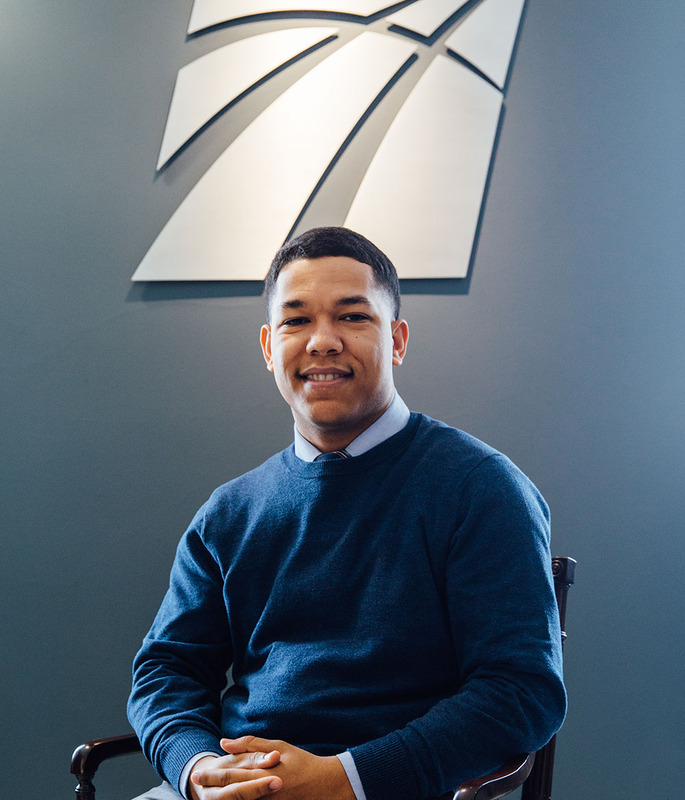 "Michael’s course work and studies at Point Park provided him a solid knowledge base of both accounting and tax issues, which allowed him to quickly integrate into our firm during the busiest time of the year. Point Park has stoked a passion in Michael and set him on the path to be successful in a very rewarding profession." Thomas L. Bakaitus, Jr., Operating Officer and Partner, Herbein + Company, Inc.
How did you land your internship with Herbein + Company? Every year, the accounting students at Point Park University are invited to the Pennsylvania Institute of Certified Public Accountant's Casino Night at the Sheraton Station Square Hotel, where different companies set up exhibit tables. I took special interest in Herbein + Company because I have been impressed with their continued growth. They are a regional accounting firm so interns get a lot of hands-on work and have the opportunity to expand outside the realm of just tax and can also do auditing, assurance services, bookkeeping and more. I realized I wanted to be part of this company and gave them my resume. About two weeks later, I was interviewed by a supervisor and senior manager and then a week later, I had a second interview with a manager and partner. I was then offered the position and the rest is history. What I believe made me stand out to Herbein was my work experience in accounting and business with Levy Restaurants, Kimpton Hotels & Restaurants and Wholey & Co. I think they admired my dedication and determination. When choosing a college, what made Point Park University stand out to you? Being from Pittsburgh and going to high school Downtown, I often heard a lot about Point Park University. Point Park offers great scholarships and is such a growing campus. I also love the fact it is Downtown and has small, intimate classes. You can really get one-on-one time with professors, who have real-life business experience and share their first-hand knowledge with us in class. How have your accounting classes helped you in this internship? I have learned so much — from my Intro to Accounting class with Professor Ed Scott focusing on the fundamentals of credits and debits to my Intermediate Accounting (all gloves off!) class with Professor Cheryl Clark on how to understand accounting terminology and apply it to the mathematics. This has all helped me to fulfill the duties of my internship. I also really loved the Forensic Accounting class with Instructor Richard Neish and the Managerial/Cost Accounting and Auditing classes with Professor Margie Gilfillan. There are so many different routes I want to take because there are so many different doors of opportunity in the accounting field. Immediately after graduation, I plan to work full time and begin the fully online MBA program through Point Park. As a Point Park accounting graduate, I get six credits waived for the MBA program so it seems foolish not to take advantage of this. This is a huge perk! I also plan to earn a CPA (Certified Public Accountant) and possibly a C.M.A. (Certified Management Accountant). I’d like to stay in the public accounting field for about 10 years and then transition to corporate. Down the road, I’d like to be a professor at a university. Accounting majors at Point Park are made aware of so many opportunities in the field. Also, being in a Downtown setting makes it very easy for us to connect with accounting industry professionals and have access to many different companies. Herbein has taught me so much about working at a CPA firm during its busiest time of the year. Though I am a tax intern, I am given the duties and challenges of a staff tax accountant. They make this clear during the interviewing process. All of the interns have become a focal character to this busy season story. I have learned a lot about different tax software and what is to be expected to be able to produce work in an accurate and timely manner. I have gained skills that I will carry with me outside of the realm of accounting and apply it to several professions. 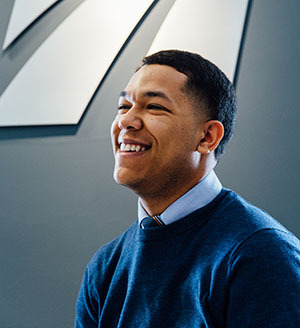 "Point Park University has prepared Michael well for the internship by providing a solid accounting education and opportunities to be a leader on campus. He has been able to learn quickly on the job and has been willing to jump in and do whatever is necessary to get things done." — Omar K. Thrower, Tax Manager, Herbein + Company, Inc.